I attended Rootconf 2017 on May 11-12, 2017 at MLR Convention Centre, JP Nagar, Bengaluru. 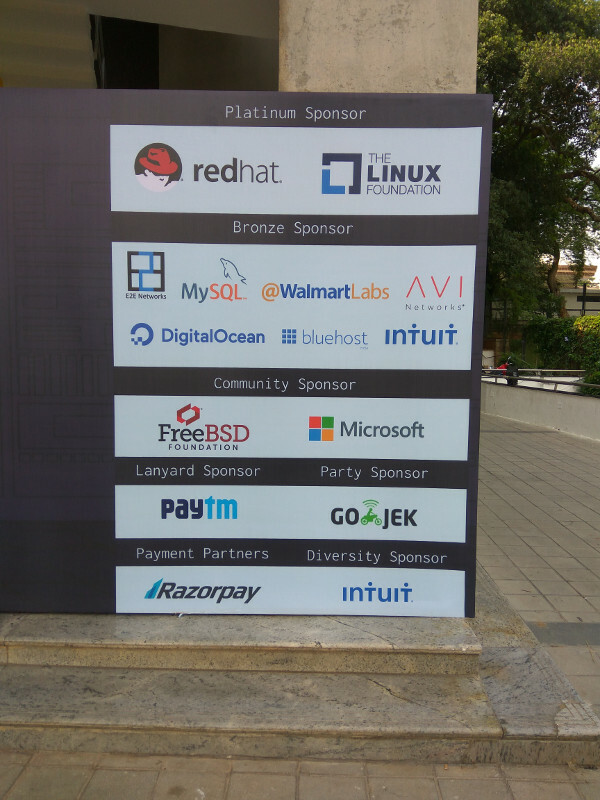 The event had two parallel tracks, the Rootconf track at the main conference hall, and the DevConf.in track sponsored by Red Hat. A number of infrastructure hosting companies had sponsored the event. The selected talks had good diversity with topics ranging from monitoring, databases, networking, security etc. The day’s proceedings began with the talk on the “State of open source monitoring landscape” by Bernd Erk. He gave a good overview of the available monitoring tools. He is involved in the Icinga2 project, which is re-written in C++ for performance. It is an alternative for the Nagios tool. 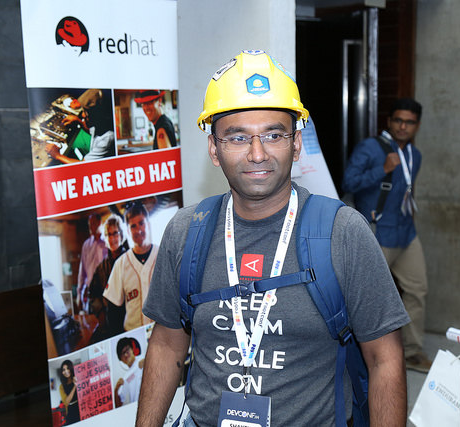 Aditya Patawari then provided an introduction to Kubernetes with a demo, as Spencer Krum could not make it to his talk on the “Anatomy of an alert”. After a short break, I attended “A little bot for big cause” session by Pooja Shah. The talk basically demonstrated how to create a bot by integrating various APIs. I attended Manan Bharara’s talk on “Monitoring performance critical applications” where he had explained how they had used Clojure for monitoring at Otto in Germany. The presentation was very good, and the Oscillator Clojure code is available. He had provided good illustrations and code snippets in his presentation. After lunch, I attended “SELinux: A deep dive” by Rejy M Cyriac. He gave an excellent introduction to SELinux, explaining the underlying concepts and rationale for the same. We also did basic hands-on exercises, but, I could not attend the last section as I had to move to the main conference hall for the flash talks. I sang the Nursery Rhymes version for DevOps. The video is available. We then headed to the Rootconf party sponsored by Go-Jek! The second day started with the talk by Kunal Grover on “Failure resilient architecture with microservice dependencies”. He presented the ways by which disruptions are performed in cloud infrastructure and how recovery mechanisms are tested. Ramya A then gave an interesting talk on “Asynchronous integration tests for microservices”. She had explained the pact.io family of frameworks to support Consumer Driven Contracts testing. Laxmi Nagarajan then gave a high level overview of “Capacity planning for AWS and configuring AWS autoscaling policies” sharing her Industry experience. After a short break, Colin Charles presented his story on “Capacity planning for your data stores” citing real world examples. 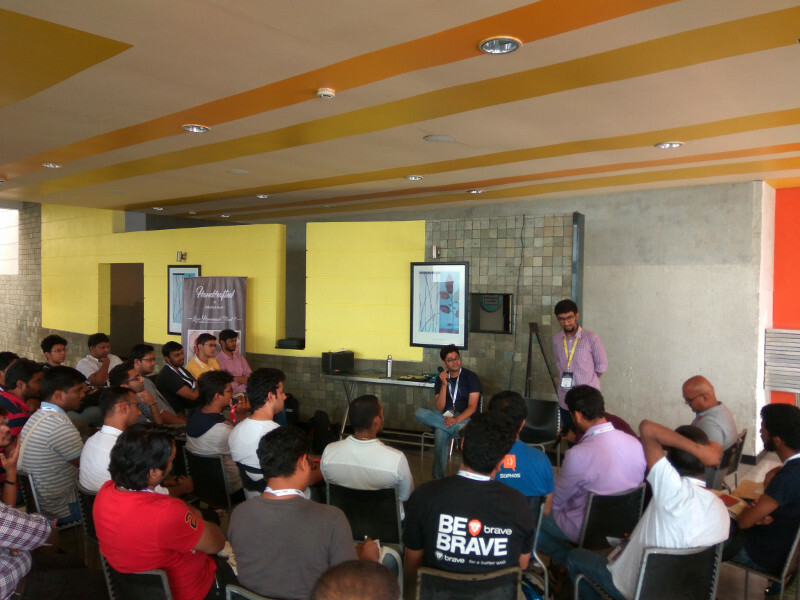 I then moved to the DevConf.in track to attend Ruchi Singh’s talk on “Migration of 300 microservices from AWS cloud to Snapdeal cloud”. The time was too short for such a talk, and it was an overview. I would have liked to see more details, given that they use Chef for provisioning and handle more than 16 TB of data as mentioned by Ruchi Singh. After a quick lunch, I attended “Adventures in Postgres management” by Ramanan Balakrishnan. It was a good technical talk going over the failures and experiences learnt. After the talk I went to the hallway to listen to the Off-The-Record (OTR) session on mistakes to avoid when planning your infrastructure. I returned to the main conference hall for doing some stretching exercises. In my opinion, all conferences should make this session mandatory, especially after you have been sitting for a long period of time. 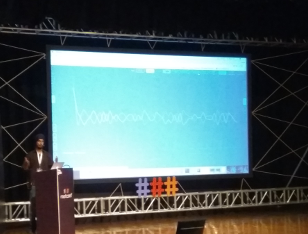 This session was then followed by the “Working with Secrets” talk by Shrey Agarwal, who gave an overview of using Hashicorp’s Vault for managing passwords. It was a very short introduction on the topic. After a short beverage break, Toshaan Bharvani presented “Living with SELinux”, which was an excellent presentation on the subject. The initial slides had some material that Rejy M Cyriac had introduced the previous day, but, the content and presentation were good. With proper SELinux policies, he said that root in his production servers cannot do much. Rejy and Toshaan both asked people to use permissive mode instead of disabling SELinux altogether, so that you at least know what is being audited. The last talk of the day was by Anurag Bhatia on “Understanding eyeball routing via RIPE Atlas”. He gave an overview of the RIPE Atlas project and how network metrics are measured and monitored wherever the RIPE device is installed. It is a TP-Link hardware whose firmware can be flashed using Libre software. Unfortunately, at this point the source of the firmware is not released as Free and Open Source Software. I was told that there is still an ongoing discussion on the same. The talk by Manan Bharara and Rejy’s SELinux workshop were the highlights for day one for me. The content on the second day was much better and had greater depth in my opinion. Overall, it was a useful technical conference, and a good place to meet like-minded people. I would like to thank Aerospike for sponsoring me to attend the conference.